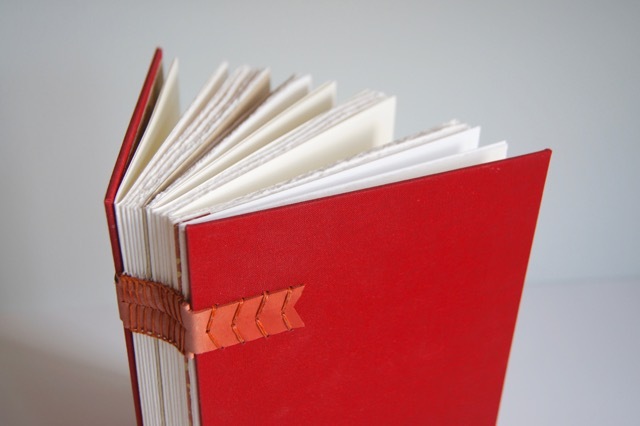 We build our products by hand using traditional bookbinding techniques and archival materials. 1. Choose your portfolio: If you love one of our portfolio products, place your order directly through our shop. If you want something just a little bit different, view our custom work to get ideas, then contact us to talk through details and receive an estimate. 2. Add your logo: View our cover printing and personalization options, then select your preference from the item drop-down menu in the shop. We will contact you to request artwork. See how to prepare your logo file. 3. Receive your proof. We will email you a proof of your cover logo placement within two business days. Once you approve your proof, we will get to work building your order and we will ship it to you within four weeks! 4. Prepare your printed pages. 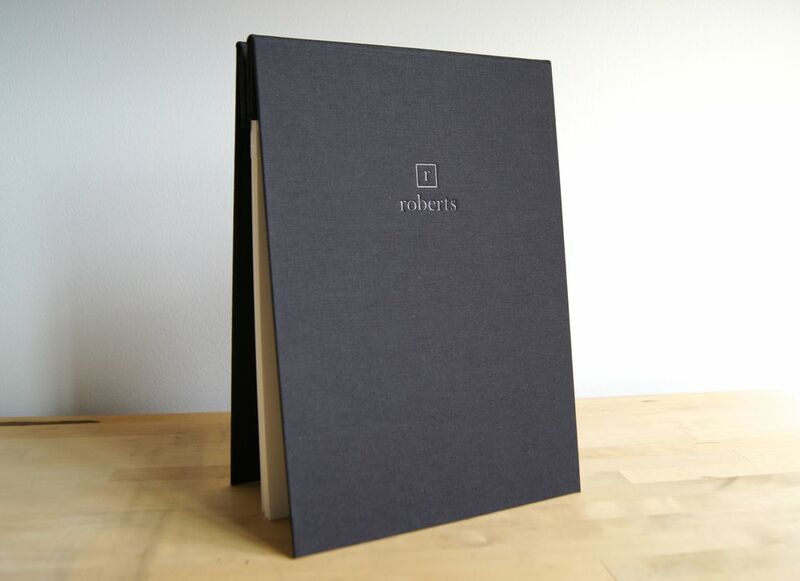 Your portfolio book or box will arrive empty and ready to fill. Print the pages yourself using your favorite local printer, or contact Pushdot Studio here in Portland to inquire about page printing. See page size and margin details.